Add a little romance and passion to your wardrobe with this artisan crafted gold and faceted red Czech glass beaded bracelet. The red glass drops are graduated in size and sparkle with an aurore boreale sheen. 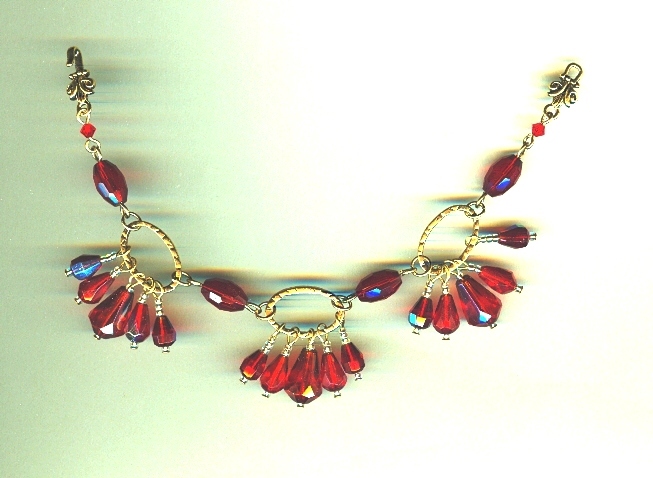 Each red droplet is accented by antique gold colored seed beads and dangles from gold plate oval links, separated by faceted red glass olive-shaped beads. The beaded bracelet is a generous 8" long. The fleur de lis gold plate hook set gives the beaded bracelet even more vintage flare. 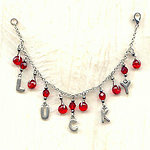 You?re one of a kind; don?t you deserve a one of a kind beaded bracelet, too? We think so, at SPARKLE PLENTY.